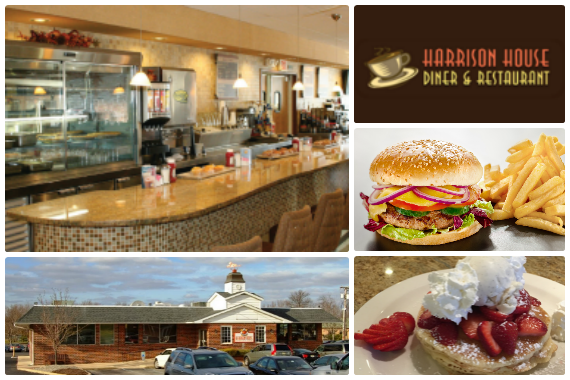 Harrison House Diner, in Mullica Hill, has been a family tradition and landmark for 30 years, serving satisfied local customers and weary travelers alike. "Even the Easter Bunny himself would make a detour for something this delicious." "Friends tell friends about good food. https://www.yelp.com/biz/harrison-house-diner-mullica-hill"
"We didn't mean to whip you into a frenzy, but you may want to stop by for a bite to eat." A great place to eat on the way to the shore. One of the last "old school" diners! Huge portions, reasonable prices, and huge variety of meal choice. I highly recommend the mahi mahi tacos! Stop and get some food on the way to the shore! Yes, I'd like to receive news from Harrison House Diner. Sign up for the Harrison House Diner Newsletter!